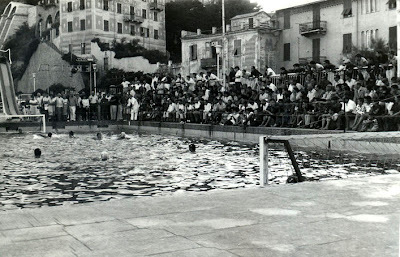 Action during the International tournament "Memorial G.Colombo" of Albisola Marina in 1963 between the teams of "Amatori Nuoto Savona", "Rari Nantes Bogliasco", "C.N. 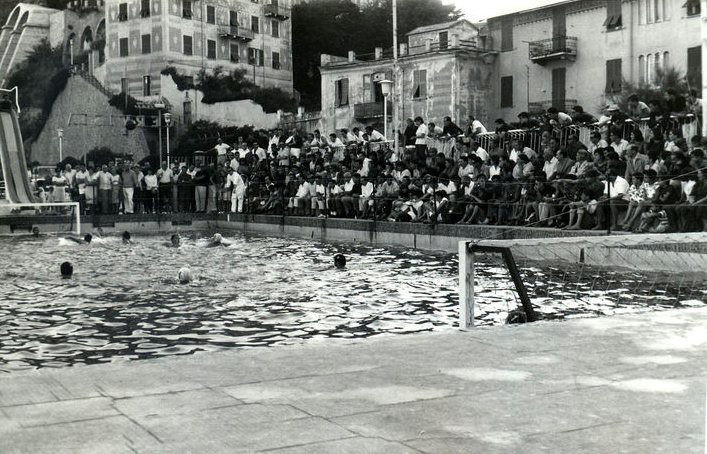 Nice" (France) and "C.N. Lausanne" (Switzerland).